Last Sunday was an education in sports psychology and what it takes to be a winner. Cork were at sea in the first half of the Munster final with John Conlon running amok and it was interesting to hear Derek McGrath's half-time analysis where he suggested that John Meyler's men were defending naively and hinted at stemming the tide by deploying a sweeper. Meyler's instructions were poles apart, however, and having left them alone for four minutes at the break, they returned a different team with Bill Cooper and Daniel Kearney significantly upping the midfield work-rate while Luke Meade and Conor Lehane emptied the tanks as wing-forwards. Colm Spillane got the better of the on-fire Conlon in the closing half because whatever ball came their way was of poor quality, and that was testament to his team-mates out the pitch and a total shift in attitude and application. Rather than potentially giving the initiative away to Clare as McGrath indicated, they trusted that they could win that intense battle in the middle third and it turned the game on its head, and possibly changed Cork's mentality for the rest of the summer. Kilkenny and Galway displayed the same characteristics - they hunt you down everywhere on the pitch. Both are satisfied with leaving their full-back line exposed for periods believing that, 'We've enough bodies around the middle, we'll back our fellas around the middle to stop the ball going in'. That's what Kilkenny did. They could have decided to sit somebody back, but they left everybody man for man around the pitch and decided to go gung-ho. Everyone said it was an arm wrestle, that's what you get when two teams match each other for work-rate. 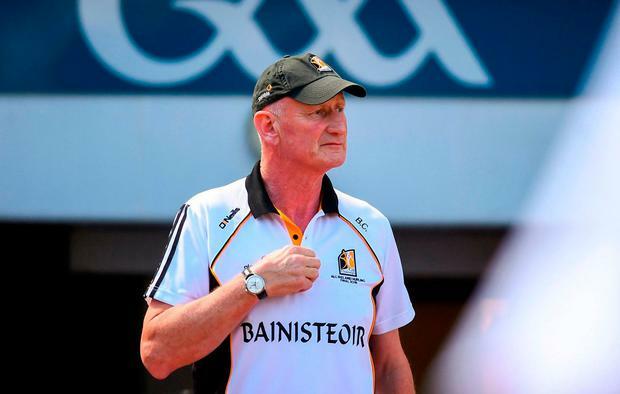 Brian Cody earned from their Salthill clash and identified the type of quick supply which Conor Cooney and Conor Whelan thrive on, but they denied them any latitude by flooding the middle third with bodies and leaving them feeding off scraps. That's how you beat Galway and that was the only way Tipperary could beat the Kilkenny team of old: commit bodies to that war zone in the middle third and build from there. Whoever wins that sector is on the front foot and Cork have copped that now also. That was a big psychological thing for Tipp in 2009 and 2010. Our full-back line were always going to be left open at times, but you have to because you need fellas around the middle. You also need to strike a happy balance and make sure your centre-back is still sitting back where possible and Cillian Buckley played that role to perfection getting on a ton of ball, ensuring Joe Canning was quiet when he drifted deep. That's how games are won and lost and bravery is required. While McGrath's psychology might have been, 'We need to sit back and gain a foothold', Kilkenny's approach was, 'We need to keep attacking this game no matter what happens'. Sometimes they will get caught like the 2016 All-Ireland final against Tipp when work-rate dropped off and Joey Holden was a big casualty of that. The Galway and Kilkenny full-back lines had 40 yards in front of them, but they didn't care and they managed to hold the Micheál Donoghue's side to just 0-18, easily their lowest championship tally in his reign (they have averaged 26.8 points in his 15 games). Kilkenny had the mentality of 'let it in and we'll win it one-on-one in here'. The key thing though was that the majority of the ball going in was 50-50 and you'd back most defenders in that situation. In the middle third, you hunt down every ball, you can't stand off for a second. You could see Cody wanted extra-time, he was barrelling up and down the line, I'd say he half knew there was no extra-time but he still wanted to be out there. He was sending the message that they weren't finished with Galway yet. I would have often used the analogy in the Tipp dressing room that when we had a team on the edge, we'd leave them hanging by their fingertips whereas the real killers follow the opposition over the edge and go over the cliff after them. Eamonn O'Shea always told us that, 'You've no past, you've no future, you've only the now' and that's the way Kilkenny play. That's the way winners play, they just care about the next ball. That's Cody's legacy. Whoever puts on that jersey is at war with the world thinking that everyone wants to see them beaten. The reason they got the jersey is because they made good life decisions and then they're trusted to bring all those good qualities to the pitch. Cody has learned that his players are willing to die, but I question whether they can repeat that performance. There's no reason for Galway to make radical changes to their approach because of one game in which a team finally matched them. They need to vary it a bit, but there's no need for panic. Again, people go overboard thinking, 'We're All-Ireland champions, there's a target on us, we're up there to be shot at. They didn't beat Kilkenny by six points, they're slipping'. It's serious disrespect to Kilkenny really and Cody would be loving all of that. Galway have been able to do what they like with opposition up until now, throwing them around like rag dolls. Suddenly, you get a slap and then you're desperately trying to find that defence-splitting pass to make something special happen. 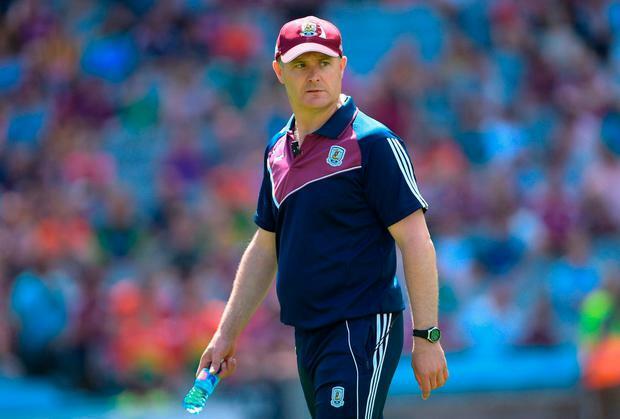 If I'm Galway, I'm thinking, 'That was Kilkenny at their best and we were only running at 80pc, work-rate was high but quality of execution wasn't up to our usual standards'. I don't think they needed a wake-up call, but they got one and they'll be on point next time Cody may have only lost one championship replay - against Dublin in the 2013 Leinster semi-final - but Donoghue will have learned more. It's not a case of them being caught cold or questioning whether they are slipping, they just needed to meet that intensity. While Kilkenny were fighting for their lives all the way through Leinster, Galway haven't been tested since last year's All-Ireland final. They've got it now, and the players will acclimatise to that. They'll do the same again the next day, the only difference will be their sharpness and a more clinical edge all over the pitch. That'll be enough to get them over the line.